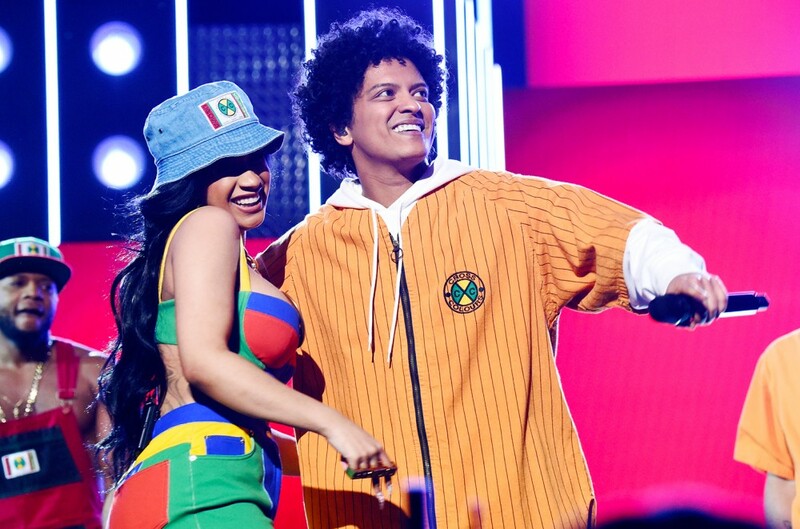 Cardi B and Bruno Mars’ second collaboration, “Please Me,” rockets to the highest of Billboard’s Hot R&B/Hip-Hop Songs chart with a 6-1 burst on the listing dated March 16. The monitor turns into Mars’ third No. 1, whereas Cardi B collects her fourth. “Please” traces its bounce largely to elevated streams after its official music video premiered on March 1. The track rallied to 45.three million U.S. streams within the week ending March 7, based on Nielsen Music, up 86 % from the prior body. The surge thrusts the monitor 9-1 on R&B/Hip-Hop Streaming Songs. Sales, too, decide up because the collaboration registers 28,000 downloads within the week ending March 7, sufficient to return the collaboration to No. 1 on R&B/Hip-Hop Digital Song Sales for a second general week. It beforehand led two frames in the past, with its opening sum of 51,000 downloads. Before “Please,” Cardi B and Mars reigned on Hot R&B/Hip-Hop Songs with their earlier collaboration, “Finesse.” The single, a remixed model of a track from Mars’ 2016 album 24Ok Magic, dominated for one week in January 2018. In addition to gross sales and streams, “Please” additionally improves within the last part of Hot R&B/Hip-Hop Songs, radio airplay. The monitor enters the highest 10 on R&B/Hip-Hop Airplay (12-9), with a 13 % acquire in viewers to 16.9 million within the week ending March 10, based on Nielsen Music. Mars collects his ninth prime 10 there, whereas Cardi B banks her 12th. Notably, Cardi B claims three different songs within the prime 10: “Money,” which ranks at No. 1 for a seventh straight week, and featured roles on City Girls’ “Twerk,” and Pardison Fontaine’s “Backin’ It Up,” at Nos. 5 and seven, respectively. Elsewhere, “Please” continues to make inroads on different radio codecs. It pushes 13-11 on Rhythmic Songs by a 13 % bounce in performs within the week ending March 11 and retains its No. 15 peak up to now on the Pop Songs airplay chart, although it climbs 7 % in weekly performs.